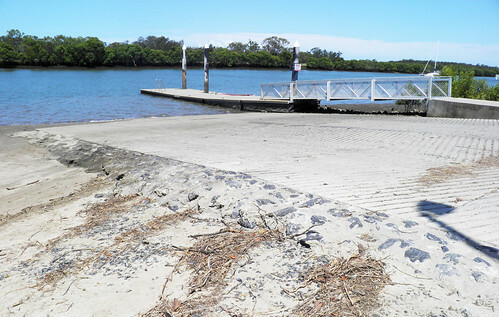 Find out where to access public boat ramps, canoe ramps and pontoons along the Brisbane River. Brisbane City Council boat ramps are for recreational use and the load limit is five tonnes. You can download the code of conduct on the Maritime Safety Queensland website for information on safe on-water conduct on the Brisbane River. The River Access Network page provides information about upcoming river infrastructure. You can also find out about the Barungwarra Boat Ramp car park upgrade. Use the location and boat ramp facilities search boxes to help you search. Select the relevant location pin on the map. This will provide more information on a public ramp or pontoon location, facilities and status (i.e. is open or closed). Alternatively, view this information in a list or table format. If the public ramp or pontoon is in a park, find information on current events in the park. View the 'public boat ramps, canoe ramps and pontoons' photo gallery as a slideshow. Alternatively, you can view photos individually as part of Council's Flickr account.